Ever wonder why you burn fat and heat up when you exercise or shiver? Now, researchers at Sanford Burnham Prebys Medical Discovery Institute (SBP) have shown that sarcolipin, a small peptide only found in muscles, increases muscle energy expenditure and fat oxidization. The study was published today in the journal Cell Reports. The scientists found sarcolipin forces muscle to use more energy to move calcium by interacting with calcium ion transporter SERCA and making it less efficient. This drives mitochondrial power plants to produce extra energy by burning more fat. 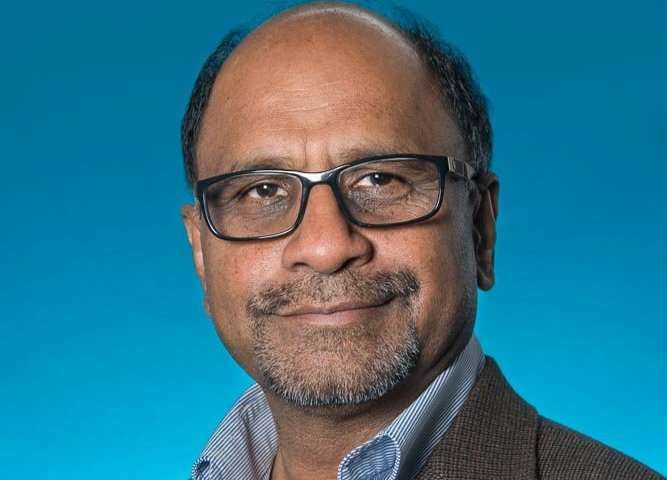 "This study shows a direct relationship between sarcolipin and energy metabolism," says Muthu Periasamy, Ph.D., senior author of the paper and professor at SBP Lake Nona. "This mechanism is intrinsic to muscle and generates heat at the expense of fat burning." Two factors increase energy expenditure in muscle—exercise and cold. When either happens, muscle cells intensify calcium cycling and recruit SERCA to move calcium ions into the sarcoplasmic reticulum, a structure within muscle cells that balances calcium levels. This process uses a lot of (ATP) energy because SERCA relies on ATP to move calcium. When sarcolipin binds to SERCA, it uncouples SERCA activity. As a result, it allows ATP consumption but not efficient calcium transport, which causes more energy consumption. The net result is more heat and fat burning. "When you exercise, your muscle makes more mitochondria and oxidizes more fat," says Periasamy. "Sarcolipin is the missing link. It's recruited during exercise or cold exposure and alters calcium cycling to increase mitochondria biogenesis and fat burning." In the study, the team found that animals without sarcolipin had fewer mitochondria and had trouble burning fat, accumulating more in their muscle (called lipotoxicity), which is a common cause of insulin resistance. However, those with more sarcolipin boosted their concentration of mitochondria and showed increased fat oxidation. "When we feed mice with more sarcolipin a high-fat diet, they don't accumulate any fat in their muscle, and they don't develop insulin resistance and type 2 diabetes," says Santosh Maurya, Ph.D., first author of the paper and staff scientist at SBP Lake Nona. Could sarcolipin be used to help people suffering from obesity and/or type 2 diabetes? "Researchers have already shown that extreme obesity reduces sarcolipin function," says Periasamy. "There might be a therapeutic window to increase sarcolipin recruitment to burn more energy. This strategy could help people with metabolic conditions, as well as those who have difficulty exercising. "We have more SERCA pumps than we need. Some are bound by sarcolipin, but it only binds around 25 percent of SERCA pumps at any one time. We would need to find drugs that increase efficiency of sarcolipin uncoupling SERCA." Would be great if it can prevent muscle atrophy in astronauts and bed ridden folks recovering from injuries.